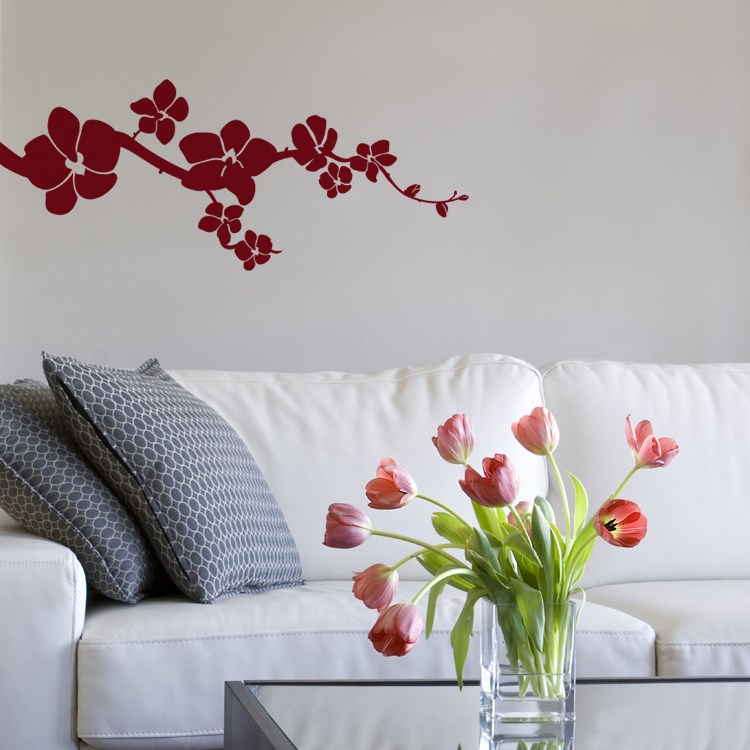 Our elegant Simple Orchids wall decal would liven up any space! Our wall decals are ideal for offices, living rooms, entryways, classrooms, even your car or glass shower doors! 22 inches wide by 9 inches high. This decals comes in one section ready to apply! My wife and I are ecstatic with the quality of your decals and service. The instructions and practice decal were very helpful and showed that that your company cares about helping the customer achieve a professional install. You all deserve a pat on the back. My wife and I are very happy that we selected to purchase our decal from Dali Decals. Thanks!